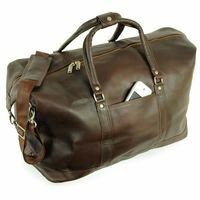 Elegant leather travel bags – one couldn’t ask for more! 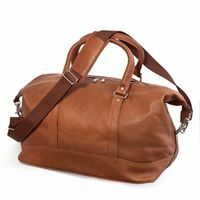 Depending on whether you need an over night bag, a weekend bag or a travel bag we have the convenient holdall for your needs. 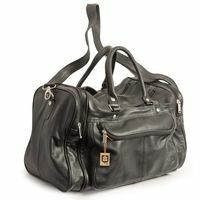 Our designer leather luggage comes in a range of sizes, and prices. Check out our shop and find the perfect travel bag! 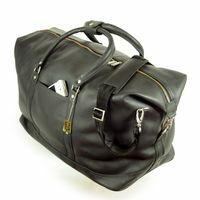 A high quality leather holdall will last a lifetime and never dresses you down. Your travel holdall enables you to keep your clothes wrinkle-free; it will hold your work clothes, evening wear, gym gear or shoes. 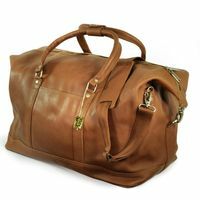 Furthermore – a travel bag in fine luxury nappa leather is a joy to use. 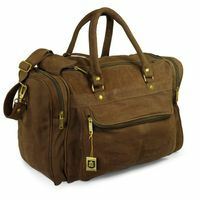 These all-time holdalls for both men and women alike can accompany you in many areas of your life; from the business trip, to your sports activities, or just an overnight visit. Each leather bag is unique and gains an individual patina, depending on the way it is cared for and used. If you treat your leather bag well, we assure you, it will look much better in the end than at the time of your purchase! Leather bags from Jahn-Tasche and Hamosons are your best choice since all are attractive. In the end our leather bags can never be out of fashion, no matter what the prevailing trends are! We are dedicated to bringing you high quality travel bags, all of which have been expertly crafted of 100% genuine leather. Our elegant weekend bags will make a stylish addition to your wardrobe. 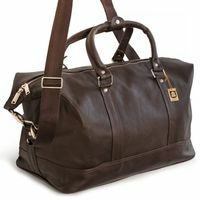 You can find excellent models designed from cowhide or buffalo leather in colours brown, cognac or black. All models from our own production are hand-made and meet high quality standards. Our sophisticated bags are very durable, designed for years of use, and come with a two year warranty. The distinctive design of our leather bags combines thoughtful functionality with innovative details. Our collections are both stylish and practical, and come in a variety of different colours, mainly in natural shades of brown, black and tan. Protecting people and the environment in the manufacturing process is a priority for us. Our own brand uses only high-quality leathers, which are guaranteed pollution-free by AZO, PCP and DMF standards.